I hope that you're able to figure out your mystery foot cramps. I've had what's probably a different kind of foot cramp... After long, hot runs my toes and feet used to cramp up terribly. I started being a little freer with the salt shaker and I eat a few more pickles, but I can't say for sure that that's what helped. I used to get something that sounds similar to this. I started drinking coconut water after working out for the potassium and also using a tennis ball to roll out the muscles in my feet. This seemed to help. I still get the cramps but it is rare now. If it's the type of foot cramp I am thinking of, I actually had one last year after my 2nd half marathon where I drank no electrolytes during the race itself (rookie mistake!). Once I replenished the salt in my system it went away! Maybe try drinking some Nuun or or Gatorade. Hope it helps! Sorry your foot is bothering you! I tend to have foot issues on the top part of my foot -- I've pretty much diagnosed myself with tendonitis, and it comes and goes. I'd second what others have said and suggest that maybe it's a nutritional thing, though, especially if you said it's more of a "shooting" pain and it bothering you when you're not even running. Hope you figure it out soon! ouch :( I hope you figure out what the issue is... also, I drink a tonic water now and then for muscle cramps and it helps a lot. Perhaps it would help you too? Maybe use a golf ball to roll your foot over? Only because foot pain is something I have dealt with in various forms. 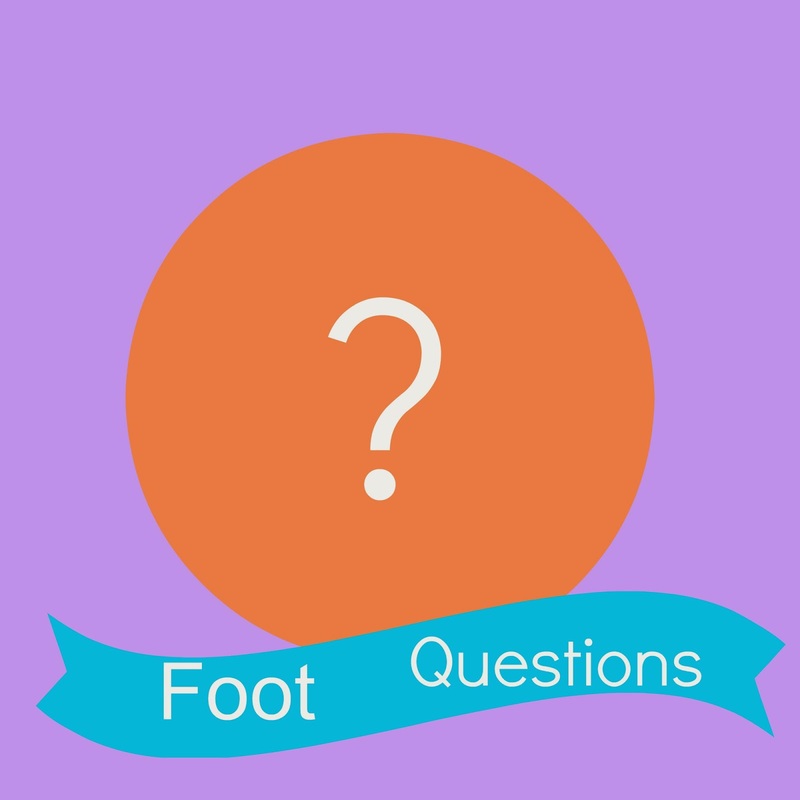 Is the pain on the top of your foot, or only on the bottom arch of the foot? When your resting is it just a sudden cramp that comes. Or were you stretching your foot just before the pain came? Oh also forgot to ask one more, do you have any pain when you go up on your tip toes? I'm no stranger to foot pain, but I don't think I have ever had the type of pain you are talking about. Everyone above me is saying it's hydration or salt issues but wouldn't you think you would have cramps in other areas besides your foot and that it would come during a run? I could be wrong though because I am definitely the farthest thing away from an expert! Have you ever used KT tape on your foot? I was dealing with some major foot pain last week and it did not start getting better until I applied the tape. Just an idea, I hope you figure out what is wrong and/or the pain and cramping goes away soon! I wonder if you need to stretch your arch out on a ball or frozen water bottle? Kind of treat it like plantar fasciatiis? Hope it clears up for you, that's awful! My older son always looks miserable when we make him take a hike with us. Maybe they were sight seeing? I haven't had that cramp, but sometimes when I spread my toes out/stretch my toes they will cramp up and get stuck all spread out. It's kind of creepy. And it hurts. I sometimes have foot cramping, but not usually when I'm running. It's usually starts in the ball of my foot and then my toes cramp. I swear, stretching my calves helps. I have really tight calves and I wonder if my tight calf muscles pull on the muscles of my feet. Just a thought! I've never had that type of foot cramp but my mom had plantar fasciitis and rolling her arch out with a tennis ball really helped her. Good luck hope it gets better soon! Have you tried doing a few sets of points and flexes before you get out of bed? I had something similar once and that seemed to help. Good luck! That sounds painful! Could it possible be too much potassium maybe? I know that happened to me back in high school. Ouch! The only time I have had pain like that was when I spent a few days while on vacation walking around in nothing but flip flops. My podiatrist said flip flops are their worst nightmare (I still can't break the habit.) I hope its nothing serious! I usually like to roll my arches with a tennis ball, may be worth a try?? Good luck! I am usually the parent after work at the playground in a dress and high heels trying to chase after Ashton, so I laughed when you said the mother was dressed up.